The elegant Castle Fraser is situated close to Kemnay in Aberdeenshire and has been a dominant fixture on the landscape since construction on it began in 1575. This magnificent fortress is one of the largest tower houses in Scotland and is a fantastic place for lovers of history to soak up over 400 years of family ownership thanks to the care bestowed upon it by the Fraser family. In recent years the castle has become extremely popular with tourists not only for the beautiful building and the care with which it has been maintained but also for the 300 acres of landscaped grounds within which the castle sits. Visitors can spend all day walking around the mixture of farmland, woodland and walled gardens that comprise the outside grounds, while inside the main building both adults and children can enjoy secret staircases, hidden trap doors and the many colourful stories behind one of the largest portrait collections in Aberdeenshire. Although Castle Fraser was officially completed in 1636 it has been extensively modernised over the intervening years with new additions like the stable block and landscaped gardens added in the 18th-century. Today the castle is under the care of the National Trust for Scotland and entry is free for NTS members. Guided tours of around one and a half hours duration are available which let you in on secrets that you might otherwise not discover, such as the little spy holes that were installed in the walls in the Great Hall and the revealing stories behind the artefacts that were collected over years of globe-trotting by the Fraser family. There are play areas outside for children to burn off energy, and waymarked walks on the estate allow nature lovers to spot the frogs, newts, bats and myriad bird species that live on the estate. The Historic Scotland Trust cares for the very grand Tolquhon (pronounced ‘toh-hon’) Castle, and anyone with a love of history is guaranteed to enjoy wandering around these picturesque ruins. Located around 2 miles south of Tarves, Tolquhon Castle was built by William Forbes between 1584 and 1589 and was designed to impress visitors with its lavish carvings and fine details. Features like the elaborate gatehouse still impress visitors today while the central courtyard and the huge main hall are fascinating to walk around. Although the castle is impressive in size it sadly fell into ruin after the Forbes family fell into debt at the end of the 18th-century, and so it really is just a shadow of its former glory. However, many interesting footnotes from history still remain to be discovered by visitors, such as the secret compartment in the laird’s quarters where he hid his valuables and the hidden area below-stairs in the main house. Haddo House is a stately home located 20 miles north of Aberdeen which has been owned by the Scottish National Trust since 1979. Originally the home of the Gordon family for nearly 300 years, the house is a spectacular example of early 18th-century architecture and features extensive collections of portraits, musical instruments and beautifully ornate furniture. 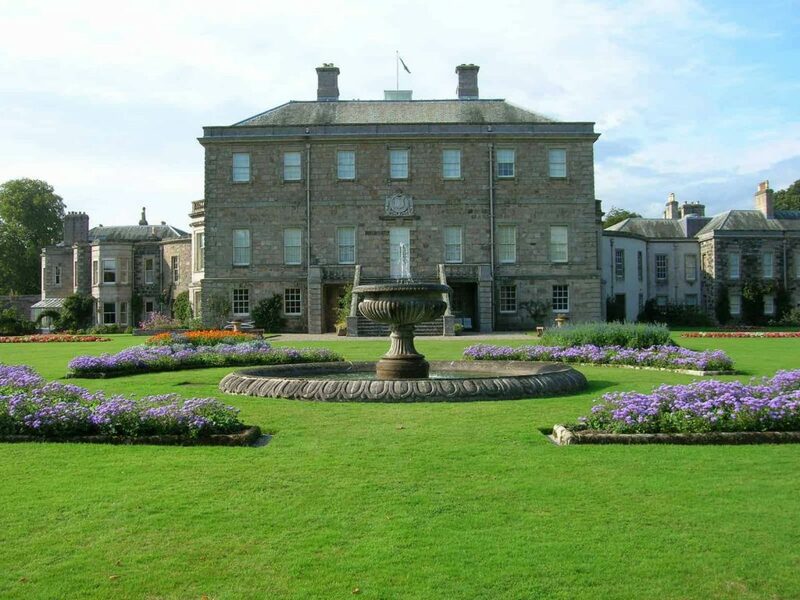 Externally there is a magnificent terrace garden full of flower beds while an avenue of lime trees leads to the equally impressive Haddo Country Park. Perhaps the most famous resident of Haddo House was George Hamilton-Gordon who was Prime Minister of Britain from 1852 to 1855. An avid art collector, he became fascinated by Renaissance artworks and eventually acquired the famous portrait of the ‘Haddo Madonna’ which still hangs in one of the grand rooms. This painting is thought to be the work of the famous 15th-century Italian artist Raphael and is one of the few examples of its kind in the country. Guided tours are available which will take you through the interesting stories that live on in the artefacts that line the halls and decorate the rooms of this enormous building, while the outside grounds are definitely worth a visit as they not only feature extensive woodland walks but also include a wildflower meadow, a play park and lots of bird hides. If you’re looking for somewhere to enjoy a summer picnic in Aberdeenshire, Haddo House really should be at the top of your list. You can also check out my Aberdeenshire Castle itinerary tour days one and three.